THE NEW YORK TIMES NUMBER ONE BESTSELLERTHE SUNDAY TIMES NUMBER ONE BESTSELLERSHORTLISTED FOR THE WELLCOME BOOK PRIZE 2017 'Finishing this book and then forgetting about it is simply not an option...Unmissable' New York TimesAt the age of thirty-six, on the verge of completing a decade's training as a neurosurgeon, Paul Kalanithi was diagnosed with inoperable lung cancer. One day he was a doctor treating the dying, the next he was a patient struggling to live. 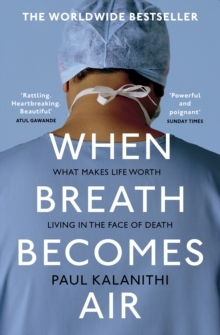 When Breath Becomes Air chronicles Kalanithi's transformation from a medical student asking what makes a virtuous and meaningful life into a neurosurgeon working in the core of human identity - the brain - and finally into a patient and a new father. What makes life worth living in the face of death? What do you do when when life is catastrophically interrupted? Paul Kalanithi died while working on this profoundly moving book, yet his words live on as a guide to us all. 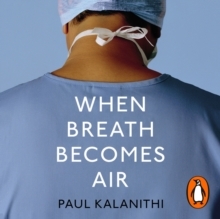 When Breath Becomes Air is a life-affirming reflection on facing our mortality and on the relationship between doctor and patient, from a gifted writer who became both.